I guess I am late! Rains are already here and we can’t just ignore getting drenched in heavy rains. But, getting drenched in the rains might not be a good thing for your body. Monsoon not only brings with it rains but it brings along with it an army of infections. Viral infections are the most common ones. They are at its peak during monsoon season because of the sudden increase in the moisture levels in the climate. Among all infection, eyes are the worst affected part of the human body. You might have suffered from itchy eyes which turns red the moment you rub it? Do not ignore it as it could be conjunctivitis. Conjunctivitis in literal terms means inflammation of conjunctiva (thin protective membrane of the eyes) Conjunctivitis is of two types: – acute allergic conjunctivitis and chronic acute conjunctivitis. Acute allergic conjunctivitis includes the seasonal allergy which turns up during monsoons. Conjunctivitis spreads through direct contact. Hand to eye touch can cause conjunctivitis, as this disease is highly contagious. It can last for minimum 3 days up to 7 days. Redness always doesn’t mean conjunctivitis, there are various other reasons that can cause redness or itchy eyes. It might be dust or too much strain on the eyes or insomnia which might cause redness of the eyes. Do not confuse yourself between these reasons and conjunctivitis. It is always advisable that if you face redness, itchiness, watery eyes, swelling, difficulty in blinking, dry eyes for more than 2 days then visit your ophthalmologists as soon as possible. It might be allergic conjunctivitis or some other disease, it is always better to get it checked from the expert. Here are few tips to protect yourself from conjunctivitis this monsoon! Maintaining personal hygiene is most important precaution which one needs to take. Avoid touching your eyes without washing your hands properly. Wash your eyes with cold water whenever you come from outside. If you feel that there is slightest pain in your eyes or you have been in contact with the person who has conjunctivitis, give your eyes cold compressions immediately after you come home. It is always better if you visit a doctor before the diseases aggravate. If someone at home is down with conjunctivitis make sure that whenever you are putting drops in their eyes or giving them cold water compressions, you wash your hands thoroughly before and after you get in contact with the person. Put 2 drops of rose water every time before you go to bed. If you wear contact lenses, avoid using them during monsoons as the chances of infection is higher with lenses. Do not share cosmetics. Risk of infection doubles when you share them. Avoid swimming, visiting water parks during monsoon, not only conjunctivitis, body gets prone to other diseases too! Avoid touching public taps, handles and if you get in contact with them, always keep a sanitizer and use them frequently. Wear glasses to keep your eyes protected. Avoid self-medication. You do not know about the action of drugs. Never use steroid eye drops. Always consult your doctor. If in case doctor is not available, choose antibiotic drops over steroid eye drops. Conjunctivitis is not a one-time disease, chances of getting conjunctivitis is endless. So as it is rightly said, Prevention is better than cure! Good advice and good information given by Trishala Chopra. As she said prevention is better than cure, and in this regard best is to wash hands frequently and avoid touching eyes. IF you must touch then do it through some clean kerchief. Very helpful information for protect eyes. Advice is spot on! Keen to highlight that as Trishala says, red or pink eye is not always conjunctivitis, so do have it checked out by a professional. 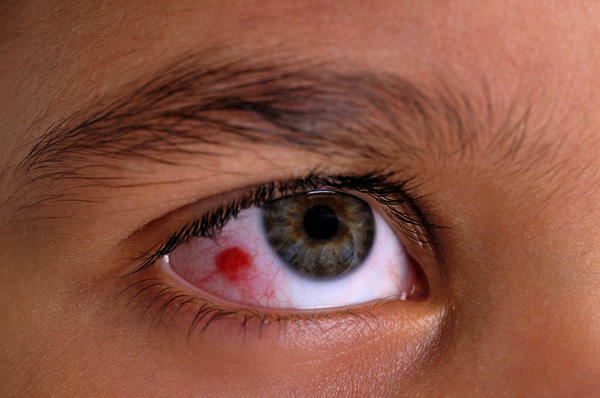 Red and Itchy eyes are caused by some type of allergy. There can be a number of reasons to your eyes itch and redness. These eye problem can be easily cured with these home remedies. Thanks for sharing.